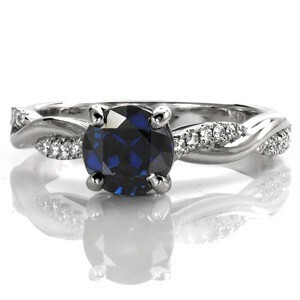 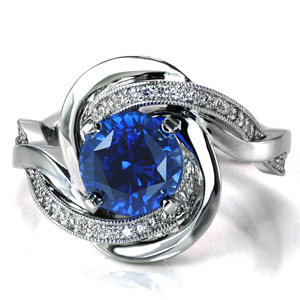 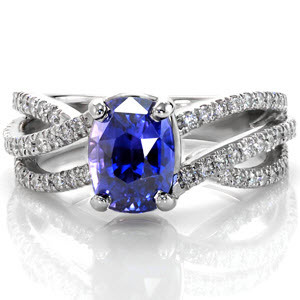 Evoking thoughts of the rippling ocean waves, Design 3651 features intertwining bands that flow around the blue sapphire center stone to form a unique halo. 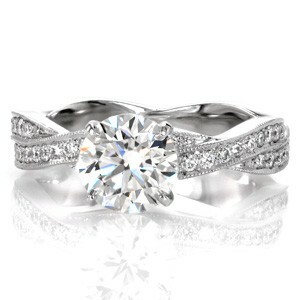 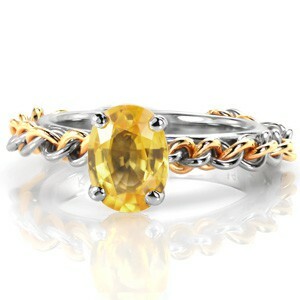 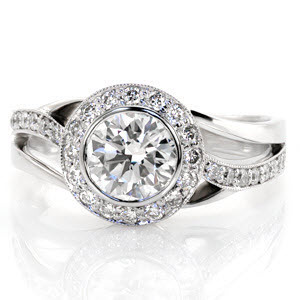 The contrast between the diamond set band and the high polished band adds to the motion of the piece. 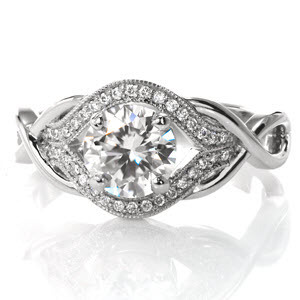 This design can be made for any type, shape, or size center stone.